Jon’s Locks, a Warwick-based and veteran-owned local locksmithing service, will repair, replace or reprogram your car remotes and give you back the full function of the car you loved when you bought it. Having a broken, worn-out or otherwise malfunctioning car remote can be a real drag, especially if you depend on your car to get you to work or you’ve gotten used to keyless entry. When your remote stops working, or gives certain signs that it might, it’s time for a service call to fix things in a hurry. Car remotes can be tricky things to use. Once rare, and wildly exotic, accessories for only the most high-end automobiles, these days car remotes are commonplace and have become standard issue for most new car models. Remotes typically have three or four buttons on them: Lock, unlock, trunk release and emergency alarm. With these functions, you can open up the car as you approach it, lock it back up as an afterthought while you’re walking away, pop the trunk when you have a basket load of groceries, or set the horn honking obnoxiously loudly to call for help. Some car remotes hang on the keychain like a key fob, where it’s pretty easy to separate them and either put a new one on the chain or fix it up and return it. 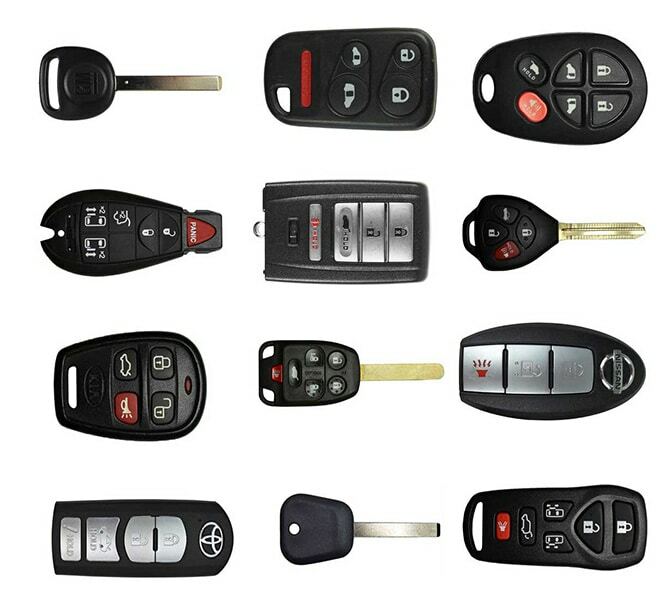 Some remotes, however, have the car key built into them, and replacing these can be a little beyond a one-trick locksmith. Jon’s Locks, on the other hand, can cut you a new ignition key and slide it right into your new or freshly repaired car remotes. Whatever the reason you’re looking for an auto locksmith, there are certain things you need to know before you agree to service. First, Jon’s Locks is fully certified, bonded and insured, so there’s not the slightest doubt that the service you’re getting is top of the line and completely trustworthy. Second, we are members of several trade and civic organizations, such as the Central Rhode Island Chamber of Commerce, 1-800-Unlocks, Fair Trade Locksmith Directory, ALOA, and NASTF. Another reason to trust Jon’s Locks for your auto locksmith work is that we’re your neighbor. We do business from a comfortable little shop on an even more comfortable residential street right here in Warwick, RI. If you’d like to stop by to have some work done on your car remotes, or just to say hello, we’re located at 2291 W Shore Rd. Warwick, RI 02889. Because we’re frequently out in the field with customers, we do ask that you give us a call before coming in, so that we can be sure to be there to greet you. We’re also happy to come to where you are, so go ahead and give us a call today, and we can have new car remotes on your keychain before you know it.